Chelsea Handler has a message for men who tell women to smile. Handler isn’t afraid to call it like she sees it, and her rant about men telling women to smile is a must-see. It’s not only entertaining and funny; she nails it. 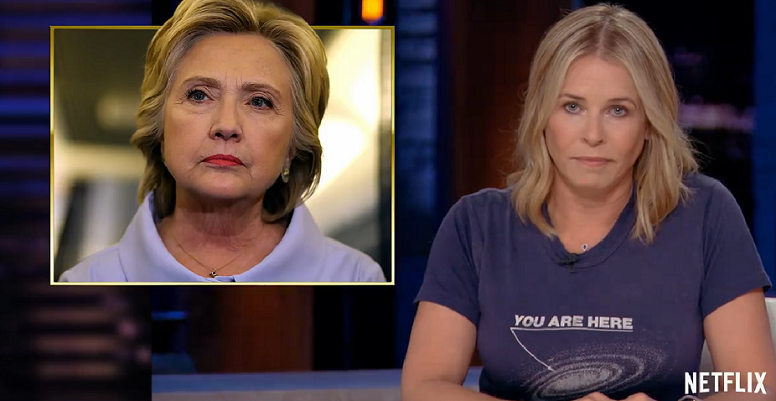 Handler noted that it isn’t just Hillary Clinton, it happens to actresses, female athletes, and she pointed out that it happens to women on a daily basis. If you’re a man who’s ever told a woman – especially a woman you don’t know – to smile, keep one thing in mind; it’s not your job or your place. It’s not cute or sweet or funny. It’s annoying and it’s an attempt to control. Yes, it really is. If you feel compelled to tell another human being to smile, go stand outside a CVS and give men that same command. See how that works out. In the meantime, watch the clip from Handler’s Netflix show. She’s hilarious and she’s 100 percent correct.